At least four people have been killed in a shooting in an eastern Canadian city Friday morning — and one suspect is in custody, according to police and news reports. 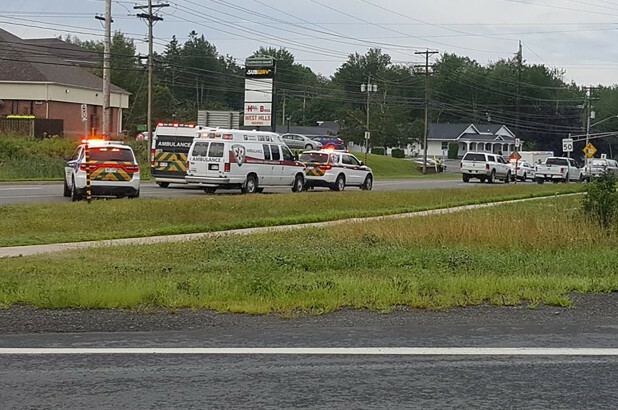 Police, firefighters and paramedics in Fredericton, the capital of New Brunswick, converged on the crime scene around 7 a.m., local outlets reported. Local resident Robert DiDiodato told CBC he heard a series of “firecracker” sounds. About five minutes later, he heard similar noises a second time, close to his home. “Doors are locked and everybody’s inside,” he said. About 20 minutes later, police tweeted that one suspect is in custody, but urged locals to avoid the area as the investigation is ongoing.